ALASKA AURORA BOREALIS pictures from the March 2012 expedition. We invite you to join us as we explore the great beauty of Alaska in winter, and see the famed Aurora Borealis or Northern Lights, the greatest light show on Earth! the Chugach Mountains, whose peaks define the coast of Alaska. We will drive through spectacular mountains to Seward, near Kenai Fjords National Park. 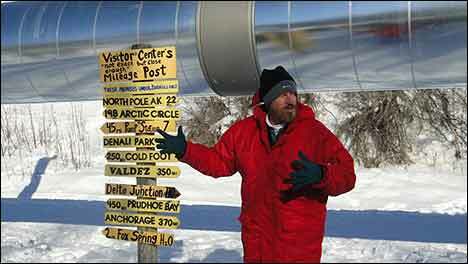 Here we will visit the Alaska Sea Life Center to see sea otters, seabirds, and a profusion of Alaska marine life. We will look at Alaska’s major land mammals including grizzlies, moose, and muskox. 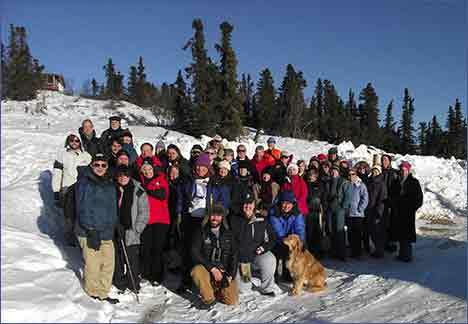 The following day we will explore historic Talkeetna and then take the classic train journey from Talkeetna to Fairbanks, passing North America’s tallest and most awesome mountain, 20,320-foot Mt. McKinley en route. 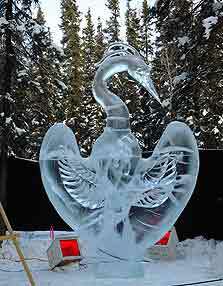 World of Ice Art Festival and learn about the Aurora Borealis at a scientific institute as we discover the delights of Fairbanks and the night skies. 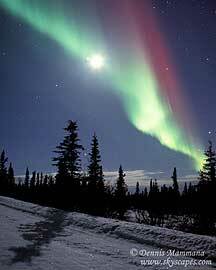 University of Alaska, Fairbanks, which was established to study the Aurora and its effects. These studies have continued from the International Geophysical Year in 1957-58 to the present time and are conducted in both polar areas. They have added greatly to understanding the unique interactions between the Sun and Earth in the polar regions. 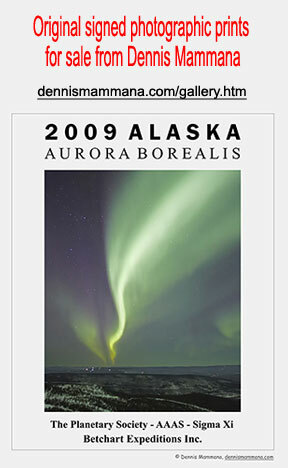 In Fairbanks we will go to the very best locations in the evening to look at the Aurora Borealis: Mt. Aurora, Creamer’s Field, and the new Aurora-viewing facility at Alpencrest Observatory. In these remote locations, we will continue to learn about the Aurora and enjoy hospitality in rustic lodges while viewing the Aurora. naturalist and a representative of The Planetary Society. Copyright ©2001-2016 Betchart Expeditions, Inc. All rights reserved.